The Bahamas is comprised of 700 islands sprinkled over 100,000 square miles of ocean starting just 50 miles off the coast of Florida. Featuring 2,000 breathtaking islands and cays and boasting the clearest water on the planet with a visibility of over 200 feet, The Bahamas is a popular destination for millions of tourists every year. There are a huge range of historical, cultural, and natural attractions in this country and it’s the world’s third largest barrier reef. The Abacos – With calm, turquoise waters and soft, powdery sand, it’s no surprise Bahamas beaches are recognized as some of the best in the world. 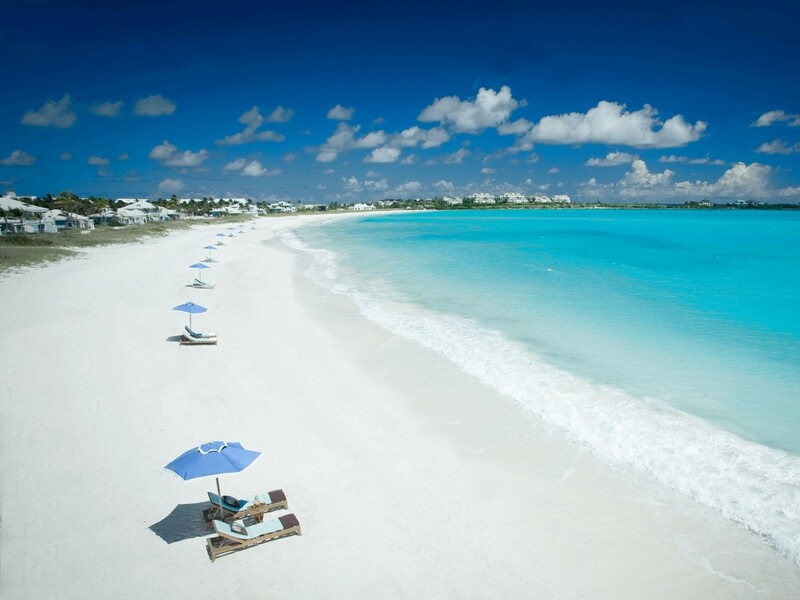 Perhaps the most famous is Treasure Cay Beach in The Abacos. Coral Reefs – The Bahamas is home to the world’s third-largest barrier reef. If diving along the Andros Barrier Reef is too advanced for you, no worries, there are many opportunities to explore the magnificent undersea world surrounding the Bahamas. Colorful coral, sea fans, and marine creatures abound; take an underwater camera, since the only things you’re allowed to bring back to the surface are photographs and memories. Atlantis – This is one of the most prestigious, luxurious, and expensive hotels in the world. If you can’t afford to stay here, you can use the activities within the resort. The Aquaventure Waterpark has 11 pools, huge water slides (including a Mayan temple themed one which tunnels through a shark pool), river rapids, and rock climbing. Pink Sand – Head to Eleuthera, Harbour Island, or Cat Island to experience pink-sand beaches. The pink hue comes from the shell of a microscopic sea creature living on the coral reefs offshore. Waves crush the pink and red shells and wash them onto the beach. The most famous pink beach is on the northern side of Harbour Island. Fish Fry – No matter which island you’re visiting, there’s bound to be a fish fry in full swing at least one night of the week. Clusters of wooden shacks and stalls fry up snapper, goggle eye, or jack fish, served with fries or a thick chunk of sweet island bread. Each stall plays its own music, creating a cacophony of sound; groups gather around wooden tables to play dominoes or to catch up on the local sip-sip (gossip). The fish fry at Arawak Cay in Nassau is open daily, but on the other islands they can be a once-a-week occurrence. Fort Charlotte – This fort from the 1780’s has a large moat, cannons, hidden passageways, and dark dungeons to explore. Those interested in history will enjoy this off-the-beaten-path attraction. Junkanoo – The Bahamas’ answer to Rio de Janeiro’s Carnaval and New Orleans’ Mardi Gras, Junkanoo is a festival of parades and parties held on Boxing Day (the day after Christmas) and New Year’s Day. Groups compete with elaborate, colorful costumes and choreographed routines to distinctly Bahamian music created by goatskin drums, clanging cowbells, conch-shell horns, shrieking whistles, and brass bands. Money Matters – The Bahamian dollar is held on par with the US dollar and both are accepted interchangeably throughout the islands. Credit cards and travelers checks are accepted at most locations on Nassau/Paradise Island and Grand Bahama Island. +PLUS and Cirrus ATMs can be found at banks on Nassau/Paradise Island, Grand Bahama Island and on most of the major Out Islands. Driving Laws – British rules apply, so please drive on the left and be extra careful on roundabouts. Visitors may use their home licenses for up to three months and may also apply for an international driver’s license. Pedestrians should remember to look right before crossing streets. Electricity – Electrical outlets in The Islands Of The Bahamas are 60 cycles/120 volts, which is compatible with all US appliances. British and European appliances require a flat two-pin adaptor and 220-volt converter. Bahamas Party Cruise Makes Getting There All the Fun!